False: Carbon Monoxide is also called CO2. Carbon Monoxide is CO. Carbon Dioxide is CO2. Mono = 1, Di = 2. Just don't tell the folks at Walmart; they actually have a section on their website where they sell "carbon dioxide" alarms. They're actually selling carbon monoxide alarms, but I'm guessing they have the wrong thing listed to help people find what they're looking for even if the wrong thing is typed in. Google is a master at this, so don't get me wrong, I'm not complaining. I'm just sayin'. False: Carbon monoxide alarms are needed to sell a home in Minnesota. Carbon monoxide alarms are required within 10' of sleeping rooms, but this has nothing to do with a real estate transaction. You don't install carbon monoxide alarms because it's the law, you do it because it's a $15 life safety device. See R315 for the exact rules on CO alarms. False: Backdrafting at a furnace or water heater means CO is filling up the home. Backdrafting means that exhaust gases are spilling back into the home, rather than leaving through the vent. A properly functioning water heater or furnace will not create high levels of CO. Even if a properly functioning furnace or water heater backdrafted into a home all day long, you might not ever see an elevated level of CO. Not that this is ok. This should still be considered a hazardous situation that requires immediate correction. Backdrafting has the potential to fill the home with CO. It will always contain CO2 (carbon dioxide), which can cause sickness and headaches in higher concentrations. False: Cracked heat exchangers create CO. CO is caused by incomplete combustion, not a cracked heat exchanger. A heat exchanger is the part of a furnace that transfers heat from the flames to the household air. A functional heat exchanger keeps the household air and the combustion gases completely separate from each other. A cracked heat exchanger might, under the right conditions, create elevated levels of CO, but this is not typical. If a furnace has a cracked heat exchanger, the combustion gases can mix with the household air. It’s usually just a little bit, but this is still unacceptable, and it means the furnace or heat exchanger should be replaced. More on that topic here: Heat Exchanger Cracks and Carbon Monoxide Myths. False: High CO levels = cracked heat exchanger. See above. We usually test CO levels in the flue gas at furnaces, but not with the idea that this will tell us about a cracked heat exchanger. Heat exchangers fail when the metal rusts through or when it cracks. CO does not cause this. False: High CO levels in the flue gas mean the furnace is leaking CO. If an appliance is venting properly, all of the exhaust gases leave the home. Even if a furnace is producing extremely high levels of carbon monoxide, this carbon monoxide will not mix with household air, provided everything else is functioning properly. If the appliance backdrafts or the exhaust gas leaks into the home through a cracked heat exchanger... well, that would be a different story. Because of these possibilities, however, high levels of carbon monoxide are still a concern. If we find high levels of CO in the flue gas, we recommend repair. It doesn’t matter if the gases are mixing with the household air at the time of the inspection or not, because this condition could potentially change at any time. The Minnesota State Fuel Gas Code (Chapter 9, Subp.6) says that gas-fired equipment shall produce not greater than 0.04 percent of carbon monoxide on an air-free basis. This equates to 400 parts per million. Wrong Term: Hot water heater. It's just a water heater. The heated water that comes out is hot. 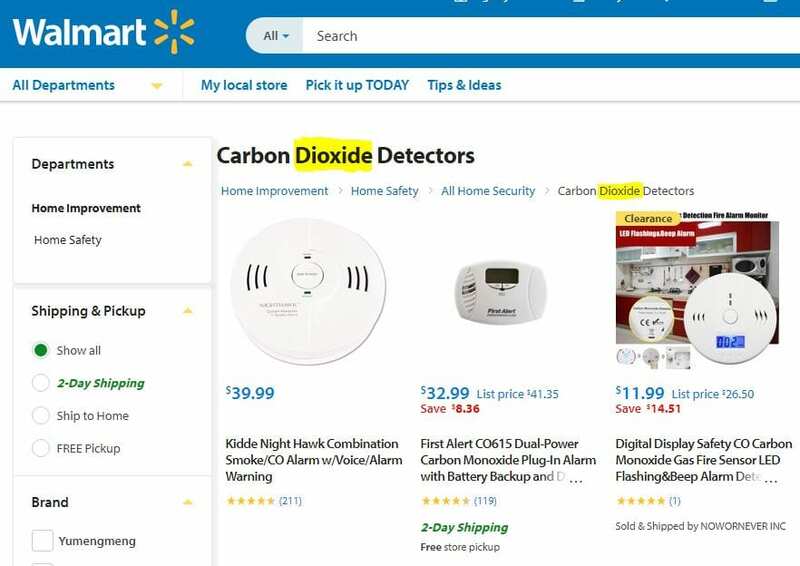 Yes, I know there are plenty of retailers who will sell you a hot water heater, but please re-read the beginning of this post about how you can buy a carbon dioxide alarm at Walmart. To summarize, high levels of CO need to be fixed, cracked heat exchangers need replacement, and backdrafting is never ok. These three things are all independent, but a combination of these conditions is especially dangerous. When using these terms, make sure you have them correct. It makes a difference.